Mysteries of History: Visa or MasterCard? ~ The History Girl! The greenback is becoming a memory to society with the continuing use of a little plastic invention called the credit card. Today, with a single stroke of a key on your computer or smartphone, your money can be transferred thousands of miles away, while you sit at home in your pajamas. The use of this style of payment is not a new concept, and actually has been around for over one hundred years. The first use of credit cards began to appear in Europe during the 1880s, and then spread to the United States in the 1920s. These early charge cards allowed the user to delay payment for up to thirty days, which upon payment had to be paid in full. These so-called cards were issued by individual merchants – retail stores, oil companies, hotels, and so on – to their most valued customers. The inventor of the first bank-issued credit card was John Biggins of the Flatbush National Bank of Brooklyn, New York. In 1946, Biggins invented the "Charge-It" program between bank customers and local merchants. Merchants could deposit sales slips into the bank and the bank billed the customer who used the card. In 1950, the first charge card, as we know it today, was created to be used at a number of locations. Frank McNamara, head of Hamilton Credit Corporation, was having dinner in 1949 at a restaurant in New York City. When the time came to pay the bill, Frank was embarrassed when he discovered that he did not bring enough cash. 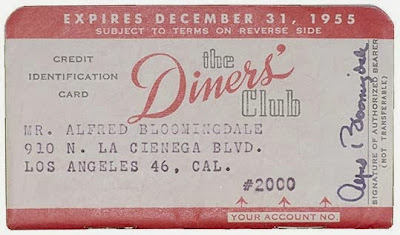 The outcome of that unfortunate evening was the formation of the Diner’s Club, which was accepted at twenty-seven restaurants. 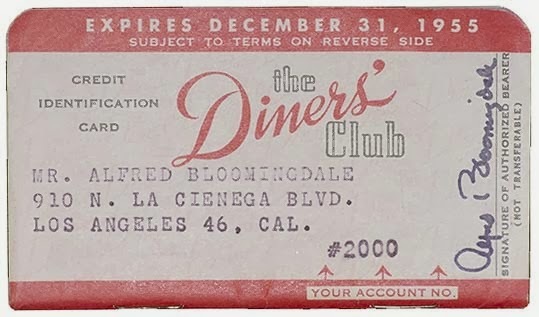 These early cards were made of paper and the restaurant paid 7% per transaction, while the consumer paid a three dollar annual fee. McNamara considered the use of credit cards a passing fad, but it turned out to be a very lucrative business. In 1958, American Express and Bank Americard (which later became Visa) were established and the era of “swiping the plastic” had been born.